A map of the counties and county equivalents of the United States. The 100 most populous counties are highlighted, with counties having more than one million residents in orange, and counties having fewer than one million residents in green, based on the results of the April 1, 2010 United States census. This is a list of counties in the United States with a population of more than 100,000 based on the national decennial US census conducted on 1 April 2010 and subsequent mid-2010 and mid-2018 official estimates released by the United States Census Bureau (USCB). Many of the counties on the list include major cities or metropolitan areas. Five of the listed counties have consolidated city and county government, namely the City and County of Honolulu, Metropolitan Government of Nashville and Davidson County, Tennessee, City and County of Philadelphia, City and County of San Francisco and City and County of Denver. New York County, Bronx County, Kings County, Queens County, and Richmond County, are coterminous with the respective boroughs of New York City, and fall under the jurisdiction of the combined city government. Connecticut, Rhode Island, and most of Massachusetts also don't have county governments. This list lists the most populous US counties sorted according to the mid-2018 official estimate by the United States Census Bureau (USCB). 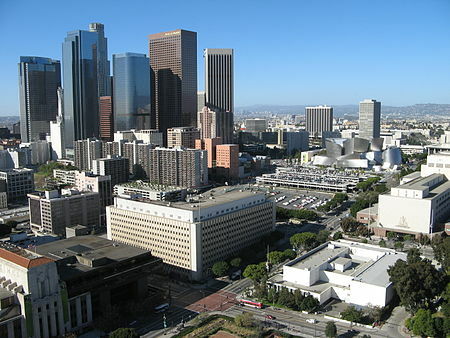 Downtown Los Angeles, county seat of Los Angeles County, California, the most populous county in the United States. County buildings and the civic center, pictured at the bottom right. 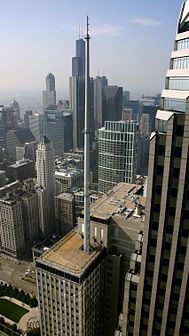 Downtown Chicago, in Cook County, Illinois, the second most populous county in the United States. Downtown Houston, located in Harris County, Texas, the third most populous county in the United States. Downtown Phoenix, Arizona, county seat of the fourth most populous county in the United States, Maricopa. Downtown San Diego, California. San Diego County is the fifth most populous county in the United States. Aerial view of Orange County, California, the 6th most populous county in the United States. Downtown Miami in Miami-Dade County, the largest county in Florida, and the county seat of the 7th most populous county in the United States. Row houses in Brooklyn, Kings County, New York, the 8th most populous county in the United States. ^ "This Is Your City and County of Honolulu Government". City and County of Honolulu. Archived from the original on 2008-01-20. Retrieved 2008-01-23. ^ "City and County Organizational Chart". City and County of San Francisco. Archived from the original on 2008-02-03. Retrieved 2008-01-23. ^ "Active Colorado Municipalities as of January 26, 2010". Colorado Department of Local Affairs. Archived from the original on November 23, 2010. Retrieved 2010-01-26. ^ a b The area in square kilometers of the column to the left divided by 2.589988110336 (1.609344²).